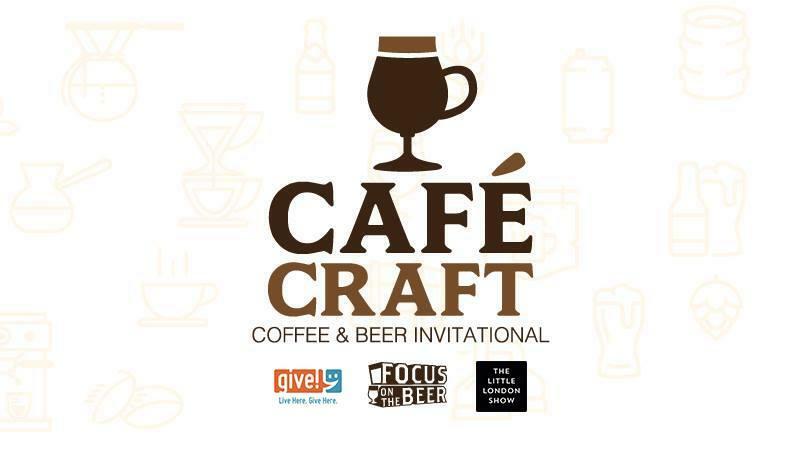 On Saturday, September 30, Focus on the Beer and The Little London Show present Colorado Springs’ first Cafe Craft Coffee and Beer Invitational at Buffalo Lodge Bicycle Resort from 11:00 a.m. until 3:00 p.m.. 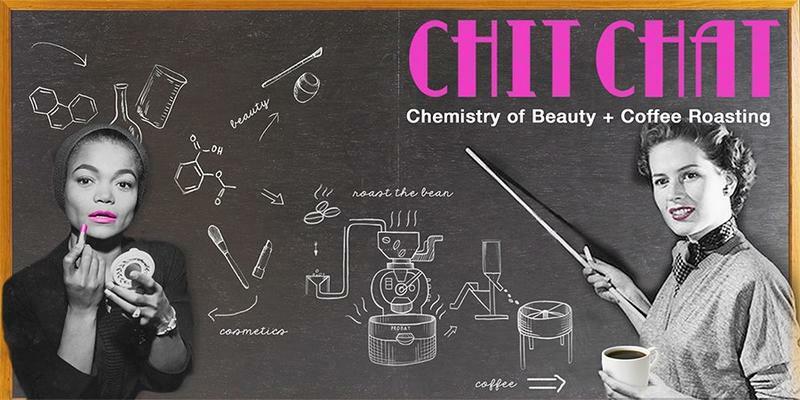 The event brings the best of the liquid craft industries together and gives participating brewers and roasters the chance to marry their styles and create a beer that amplifies the characteristics in both specialty beverages. 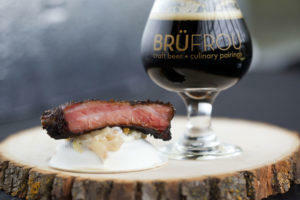 This Sunday, July 16, 12:00 p.m. to 5:00 p.m. the fourth annual BruFrouFest will be held in Denver, on the newly renovated quad in front of Tivoli Station. 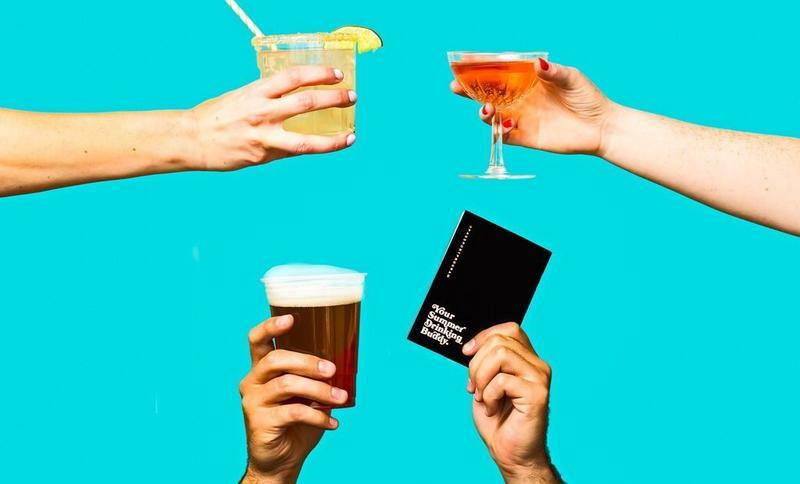 The largest pairing festival in the country includes a lineup of over 120 chefs, brewers and mixologists with the accompaniment of live music from six eclectic bands. Co-founders, Myriah Conroy and John Heins, have a background in event production and designed BruFrou to be an avenue for premium culinary and beverage collaboration. 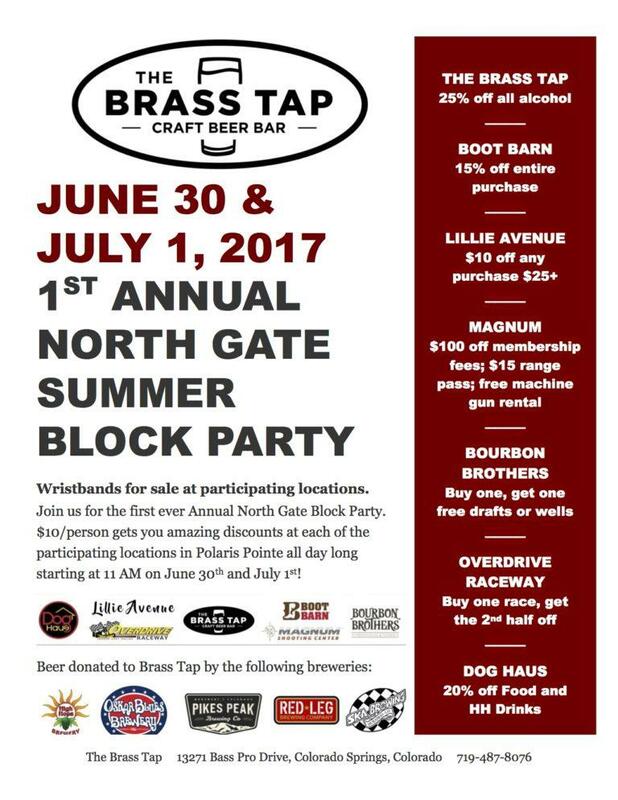 The first annual North Gate summer block party will be held on Friday, June 30 and Saturday, July 1 from 11:00 a.m. to 11:00 p.m. Owners of The Brass Tap-Colorado Springs, Mike and Darlene Warmouth, are hosting the event with neighboring Polaris Pointe businesses: Bourbon Brothers Smokehouse & Tavern, Dog Haus, Overdrive Raceway, Boot Barn, Lillie Avenue and Magnum Shooting Center. Wrist bands provide entrance for $10 and all associated vendors will be offering incentives, like 25 percent off all alcohol at The Brass Tap. They will also feature live music, discounted beer and a stein hoisting competition at 5:00 p.m. both evenings. 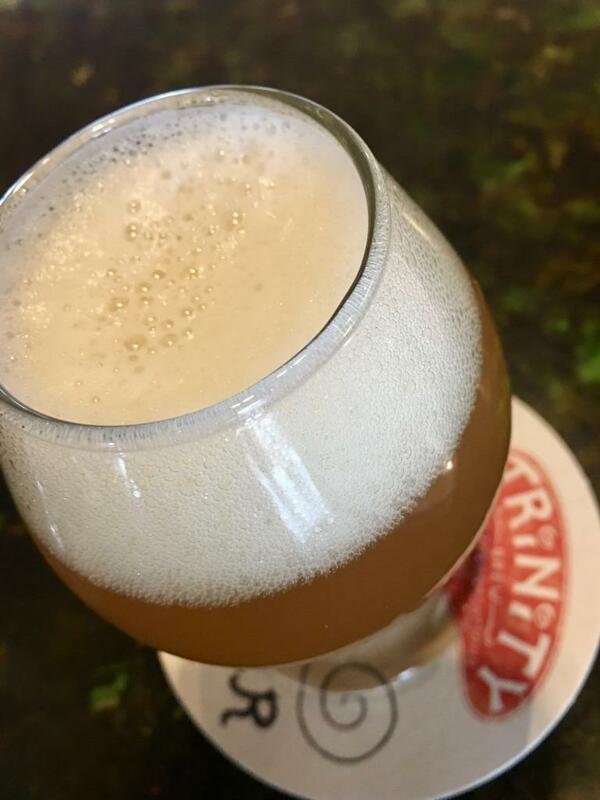 Red Leg Brewing Co., Pikes Peak Brewing Co., Ska Brewing, Oskar Blues Brewery and High Hops Brewery are all donating beer to help sponsor the event. • 22nd Annual Pikes Peak Food and Wine Expo: A fun festival of food and drink with samples galore from restaurants and distributors with a cooking competition and craft cocktail competition. $45. Sunday, March 19, noon to 3 p.m. The Broadmoor World Arena, 3185 Venetucci Blvd. Rocky Mountain Food Report: Food, Glorious Food. And Drink. 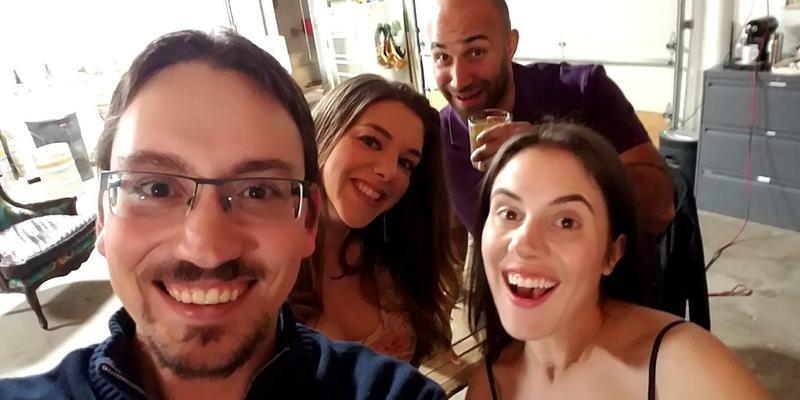 • 26th Annual Wine Festival of Colorado Springs: A benefit for the Colorado Springs Conservatory featuring a weekend of wine-centric events, including tastings, seminars and dinners. Held throughout the city at locations such as the Broadmoor and the Warehouse. March 2-4. 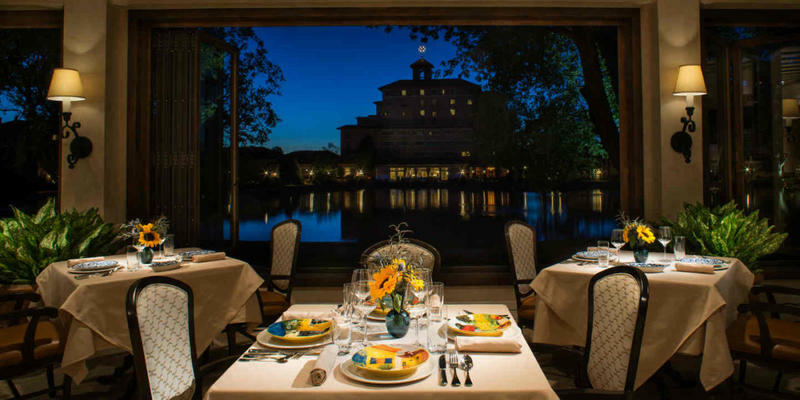 In July of 2016, The Broadmoor welcomed its new director of operations and experienced master chef, John Johnstone, stepping into the role of Vice President of Food and Beverage. 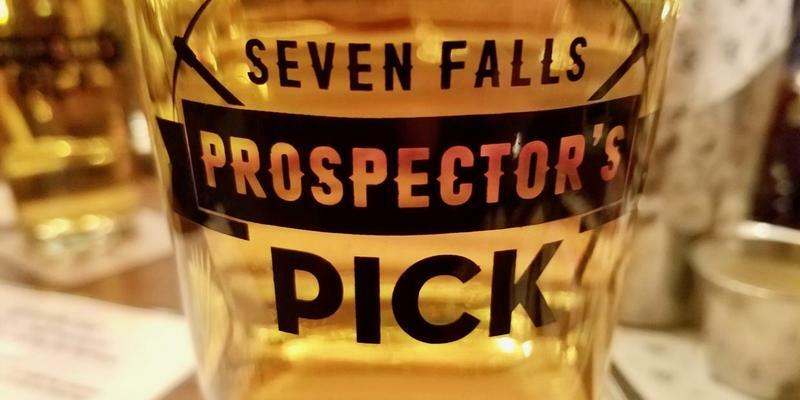 Last night reporters from The Rocky Mountain Food Report joined The Broadmoor and Red Leg Brewing Co. for an intimate dinner previewing the hotel’s coming Seven Falls Prospector’s Pick kölsch. The beer is specially made by Red Led and will officially launch at The Golden Bee on Tuesday, Jan. 17, when attendees will find special glasses, giveaways and more. With over 200 breweries and brewpubs, Colorado is one of top beer producers in the country. 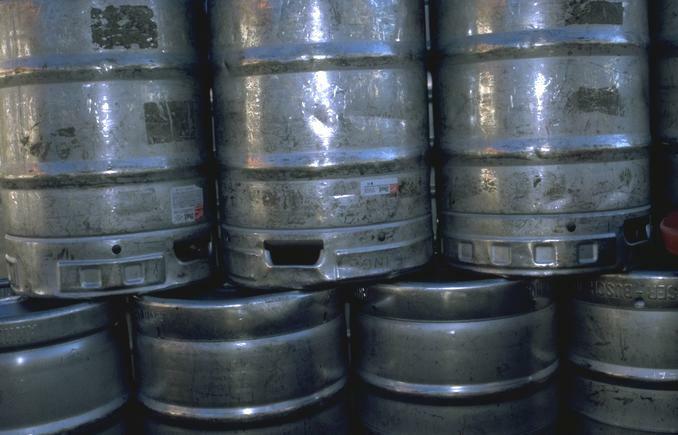 All that beer requires a lot of water. Brewers large and small are working to conserve the precious liquid that is crucial to creating the other precious liquid. Beginning today and continuing through the weekend, Ivywild School celebrates its grand opening. Yesterday we posted Part 1 of my interview with Co-Owners Mike Bristol of Bristol Brewing and Jim Fennell, Lead Architect of Fennell Group, and author of the book BUILD IVYWILD.